There was some pretty red-hot fishing this week on the morning bite. If you can, try and get out at first light. In general the first few hours have been so good it can be hard to get the gear down on both sides and things get progressively slower as the morning goes on. It seems to slow down around 9:30 to 10:30 am. Hot depths have been 80-115. 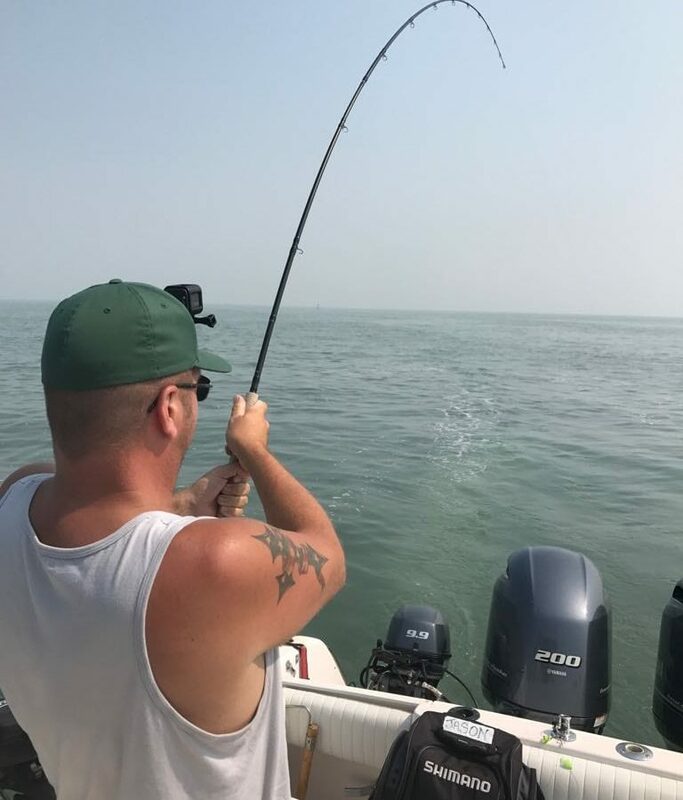 Later on in the day you can have some decent action but you will have to go deeper, from 125-145, and you will see the fish on the sounder but there just isn’t as strong a bite as there is in the morning. Test sets on the approach areas took a pretty sharp dive this past week but some of that was attributed to the sockeye running too deep for the seiners, but in general the test sets have dropped way down. There was a downgrade on the remaining late run sockeye to yet show up on August 28. Originally we were looking at about 7.4 million fish and it has been downgraded to about 6 million. As of yet it is unclear when they will shut down sockeye fishing for us out in the ocean. As of the time of this report it is open and all the calls I have made to my contacts are suggesting that the ocean will remain open past September 3rd and is therefore open until further notice. This is not the case for the Fraser River. Above Mission Bridge the river will be closed for sockeye fishing as of midnight on September 4th. Below Mission Bridge it will be closed as of midnight on September 3rd. If the test sets continue to be poor, I would expect the ocean will shut down sooner than later so I suggest you get out there while you can. A successful morning sockeye bite! We have been catching some chinook down at the South Arm and we are starting to see fewer reds and more whites. This trend will continue as we enter into September. We have been doing well from 25 to 65 on the riggers using anchovies in Rhys Davis teaser heads combined with Gibbs and Oki flashers. As noted in previous reports, on your shallow rods use chrome and UV flashers and teaser heads and on your bottom rods use glow flashers and teaser heads. I did a test fish on the Cap the other night on the flood tide and didn’t see any chinook on the sonar or have any bites, so seems there aren’t too many are there yet. Give it about another week and we should see some fish starting to show up there. There have been some coho jumping around the Cap mouth and a few off Stanley Park out by the QC marker. We haven’t been fishing for coho much these past few weeks as we have been focusing on the sockeye. There were a few mornings where we had some good coho action when we did decide to take a break from the sockeye. White hootchies on a 28-32 inch leader, and Irish Cream spoons were working well, as were anchovies in a chrome teaser head. Captain Eddie’s crew with their catch.